Refrigerate for at least 6 to 8 hours, or until completely hardened. Whip with hand beater, just until smooth. Use immediately or store in cool place. It will harden in the refrigerator. 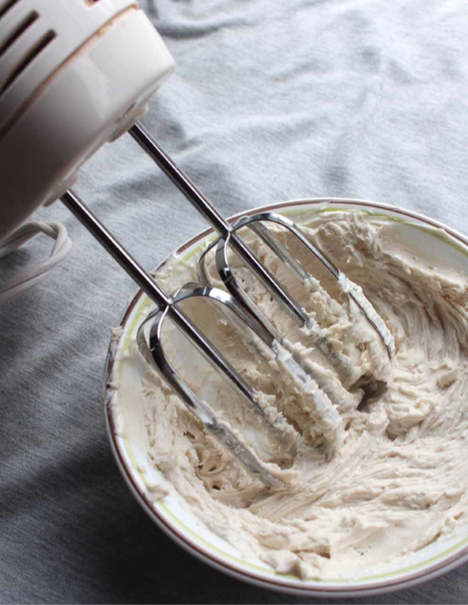 Any leftover cream will need to be rewhipped before using. *Prep Note: Clear vanilla will keep it whiter.